HRH Princess Maha Chakri Sirindhorn received astronomy books from NARIT and took a photo of the Swan Nebula through the telescope. The National Astronomical Research Institute of Thailand (NARIT), Ministry of Science and Technology gave books in the series “Thai Astronomical Civilization” to HRH Princess Maha Chakri Sirindhorn and demonstrated the use of the Thai Southern Hemisphere Telescope via computer. Prof. Pairat Tachayapong, Managing Director of NARIT, and Assoc. Prof. Bunraksa Sunthontham, Director of NARIT, staff of the institute, and the production team of the series “Thai Astronomical Civilization”, offered the series for use by Her Royal Highness usage to give to schools in the royal project. This series was produced after the series “Thai Kings and Astronomy” as a memoir of Thai astronomy’s origin. The series consist of 3 books: the History of Thai astronomy, Royal Court astronomy, and Thai folk astronomy. Princess Maha Chakri Sirindhorn who also took a picture of the M17 Omega Nebula or Swan NebulaSagittarius. Assoc. Prof. Bunraksa Sunthontham reported that the Thai Southern Hemisphere Observatory is a project that NARIT coordinated with North Carolina University to install the telescope under the PROMPT (Panchromatic Robotic Optical Monitoring and Polarimetry Telescopes) project, at Cerro Tololo Inter-American Observatory, Chile, to research and observe astronomical objects in southern hemisphere. 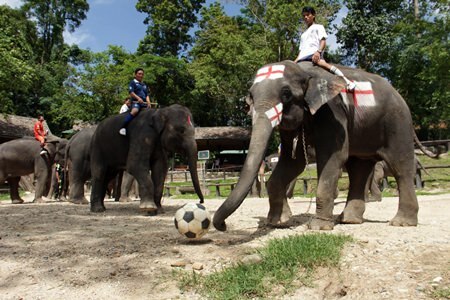 Maesa Elephant Camp’s elephants took part in World Cup Fever in a football game at the camp. Elephants at the Maesa Elephant Camp joined in World Cup Fever between June 12 to July 13 when the camp painted safe colors of 12 national flags on the elephants and separated them into two teams to compete in an elephant football match and penalty shoot outs. Anchalee Kalmapijit of the Maesa Elephant Camp said the camp and its elephants held the activity to welcome the start of the 2014 FIFA World Cup season, and to promote tourism in Chiang Mai, including the abilities of Thai elephants. She noted that Thai elephants are fun loving and intelligent and can not only learn how to kick the football but can do it well. During the World Cup mahouts will dress in football uniforms of various countries and the elephants will sport national flags on their foreheads. Governor Suriya Prasatbandit and his wife Mananya are welcomed on his arrival at City Hall on June 2, 2014. Chiang Mai Governor Suriya Prasatbandit, the former Governor of Tak, is now officially in office after completing the custom of paying respects to the King Rama V monument located in front of the Chiang Mai City Hall, and worshiping at the shrine of City Hall, on June 2 at 8 a.m. He was welcomed by his officers, directors and staff from many government sectors, and residents. The new Governor revealed that he will carry on the incomplete tasks, projects and policies, and that he needed cooperation from all sectors to help develop the province and sustainably maintain peace.He also asked for cooperation in promoting Chiang Mai as an inviting tourist attraction while maintaining it as the customary land of nature and rustic beauty. Mr. Suriya Prasatbandit is 64 years old and was born in Bangkok. He obtained his Bachelor’s in Public Administration from Chulalongkorn University and a Masters in Public Administration from the National Institute of Development and Administration. In his first position he was appointed Assistant District Officer in Dan Sai in Loei province and later as Chief of Disaster Relief Work, Subdivision of Disaster Prevention and Mitigation (Civil Works) before becoming Chief District Officer in Khon Kaen, Ayutthaya, and Singburi. He was then promoted to Deputy Governor of Samut Sakorn and the Pathum Thani before taking the position of Governor of Tak Province where he served for several years and where he dealt with similar smog and migrant issues as Chiang Mai faces. He is married to Mananya Prasatbandit and has two daughters. 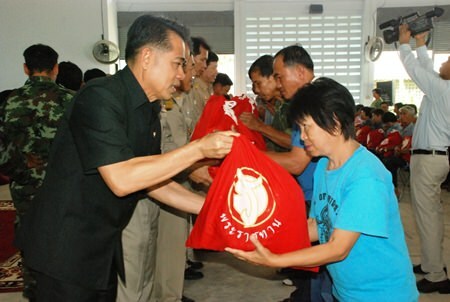 His wife will be assuming the role of President of the Chiang Mai Province Red Cross chapter. proposal for water diversion tunnels for Chiang Mai. The Chiang Mai Irrigation Project has re-submitted a proposal to build water diversion tunnels to Mae Ngat Dam to the National Council for Peace and Order (NCPO) for consideration. Engineering Director Wongphun Wongsamut said that the proposal had first been submitted to the Cabinet in 2011 but due to the political conflicts had never been implemented. 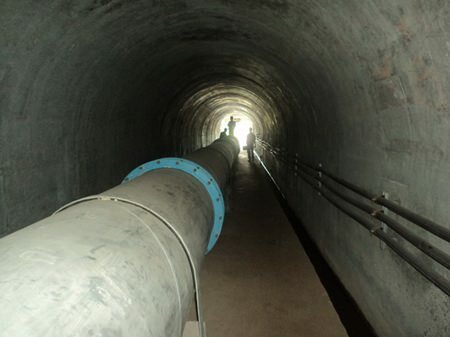 The plan proposes water tunnels will be built in 2 phases; a diversion tunnel between Mae Taeng – Mae Ngat Dam of 26 kilometers, that would be capable of carrying 113 million cubic meters of water per year and a water diversion tunnel between Mae Ngat Dam – Mae Kuang Dam with a length of 23 kilometers and capable of carrying 47 million cubic meters of water per year. Total water volume added in Mae Kuang Dam is 160 million cubic meters per year. The water diversion will be conducted in the rainy season only. The Irrigation Department sent a proposal to Ministry of Agriculture and Cooperatives and is preparing to present the project to Deputy Leader of National Economic and Social Development Commission, National Council for Peace and Order (NCPO). However, the 15,000 million baht budget allocated in 2011 could not be used to cover all expenses because costs had risen in the past 3 years. The Department will request the NCPO to allocate 17,000 million baht budget instead. If the scheme is approved, it would be started in 2015. The project would begin with a water tunnel between Mae Ngat Dam and Mae Kuang Dams with a 7,000 million-baht budget and the water tunnel of Mae Taeng – Mae Ngat Dam with a 8,000 million-baht budget. Also each phase of water diversion tunnels is expected to take five years for construction. Pechawat Wattanapongsirikul, head of the Rak Chiang Mai 51 red shirt group announced his willingness to give the NCPO time to set reforms and reconciliation in motion and said he would tell other red shirt leaders to stop their activities. Pechawat Wattanapongsirikul, head of the Rak Chiang Mai 51 red shirt group headquartered at Grand Waroros Palace Hotel confirmed his readiness to work with the National Council for Peace and Order (NCPO) and that he would ask red shirt leaders in 8 Northern provinces to suspend their activities to give the Army time and see the direction it takes in reform and reconciliation. Mr. Pechawat was summoned by the NCPO to report on May 30, he was released on June 6, 2014. On June 8, 2014 he met with Maj.Gen. Sutat Jarumanee, Commander of 7th Infantry Regiment to confirm his readiness to work with the military and to announce that he would talk to other red shirt leaders. He said that he had not spoken with former Prime Minister Thaksin Shinawatra as to this decision. The Department of Public Works and Town & Country Planning in Chiang Rai held a workshop from June 2 – 6, 2014 to work with civil engineers in constructing earthquake resistant buildings in Chiang Rai. Kiatisak Chantra, Deputy Director- General of Department of Public Works and Town & Country Planning, acting the head engineer presided over the workshop that was held at Rimkok Resort Chiang Rai, Rimkok sub-district, Mueang district, Chiang Rai. Atthaya Thepmongkon, Director of Urban Development Training Institute worked with participants who work as civil engineers at the professional level; those who are responsible in planning the verification and tall building structural designs. More than 60 people took part in the workshop that also informed participants about DPT regulations for weight and resistance of foundations of new construction in risky areas. Building Control Act B.E. 2522 (1979) stipulates for the construction of some buildings in risky areas to be designed to resist disaster in the level regulated by law. Since much of this is new for people in the industry the workshop was arranged to deliver knowledge and experience to the concerned authorities. From the workshop, the participants learned more about designing high buildings to be earthquake resistant, verifying blueprints before granting a license, and supervising construction in the regulated area according to the ministerial regulation issue 50 (B.E. 2550 (2007)) from Building Control Act B.E. 2522 (1979). The Chiang Mai International Convention Center is working to be certified at ISO-22301 international standards. Dr. Sarawut Srisakun, Director of Pingnakorn Development Agency (Public Organization) revealed that the Agency is studying about ISO 22301 standards in a bid to ensure the facility is up to international standards. The study has received support from Nopparat Methaweekulchai, Chief of Thailand Convention & Exhibition Bureau or TCEB. 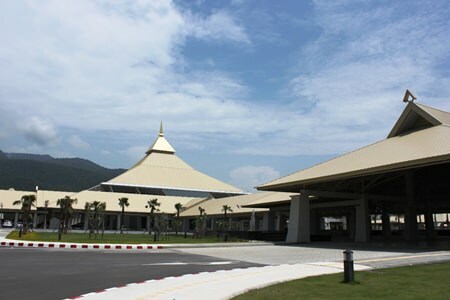 The Chiang Mai International Convention and Exhibition Center (CMICE) Commemorating His Majesty’s 7th Cycle Birthday Anniversary has been operating to be a “Thailand MICE Venue Standard” which guarantees that the venue is up to international standards for Meetings, Incentive Travel, Conventions, Exhibitions or MICE and it can raise Thailand MICE business of CMICE to reach international standards. 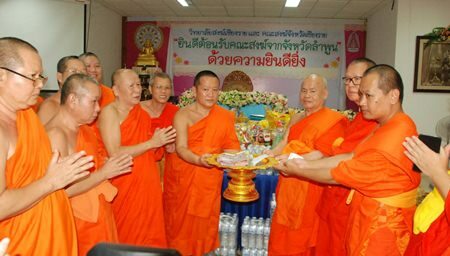 Phra Rachapanyamolee, the Dean Monk of Lamphun and Lamphun Buddhists collected about 174,590 Baht and consumer goods and donated them to Phra Thummarachanuwat, the Dean Monk of Region 6, Chiang Rai and Phra Rattanamunee, the Deputy Dean Monk of Chiang Rai at the Convention Hall, Chiang Rai Sangha College, on June 3, 2014. These donations will be given to temples which were destroyed by the earthquake on May 5. Donations and other consumer goods are still being taken for the temples at account 539-0-43907-4, Pho Khun Meng Rai branch, Krung Thai bank,“helping earthquake victim temples 2014” or call 089 – 5591144 for more information. Relief packages from the Miracle of Life Foundation under HRH Princess Ubolratana were distributed to 1,500 families in Chiang Rai. The Miracle of Life Foundation distributed Royal relief packages from HRH Princess Ubolratana to victims of the May 5, 2014 earthquake on May 29, 2014 in Phan, Mae Suai and Mae Lao Districts. Five hundred packages were distributed to families in each district. Manus Nonuch, the Director of Policy and Planning Office the Miracle of Life Foundation under the patronage of HRH Princess Ubolratana Rajakanya Sirivadhana Phannavadi, as a representative of HRH Princess Ubolratana and relief teams along with Department of Social Development and Welfare, Ministry of Social Development and Human Security and Chiang Rai province distributed the 1,500 families who were affected by a 6.3 earthquake on May 5, 2014. Manus Nonuch said that HRH Princess Ubolratana knew the suffering of people who had been affected by the earthquake and ordered the delivery of the packages to alleviate their troubles. 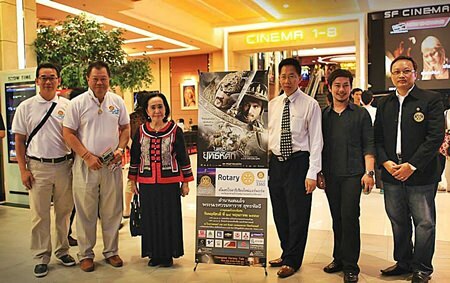 The Rotary Club of Chiang Mai Airport held a fund raising night at the SF Cinema City at Promenada Resort Mall on May 29, 2014 where they sold seats to a special screening of The Legend of King Naresuan to raise funds to purchase 2,500 liter water tanks to donate to 6 children’s foundations in Chiang Mai. Chao Duangduan na Chiang Mai (3rd right), the president of Chiang Mai Cultural Council joined the event which was overwhelmingly attended by over 300 members of Rotary Clubs and other guests. Army, Police, Government officials and volunteers joined at a ceremony at 3 Kings Monument to maintain peace and combat crime in Chiang Mai. 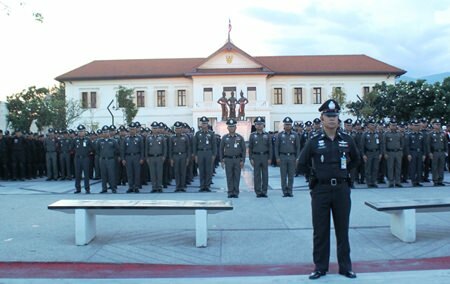 A ceremony was held at Three Kings Monument on June 2, 2014 to bring together police, army, government officials and volunteers to cooperate in combating crime and maintaining peace in Chiang Mai after the coup. Pol. Lt. Gen. Wanchai Tanadkit, Assistant Commissioner-General of the Royal Thai Police, as acting Commander of Provincial Police Region 5 presided over ceremony with Chiang Mai Governor Suriya Prasatbandit and Pol. 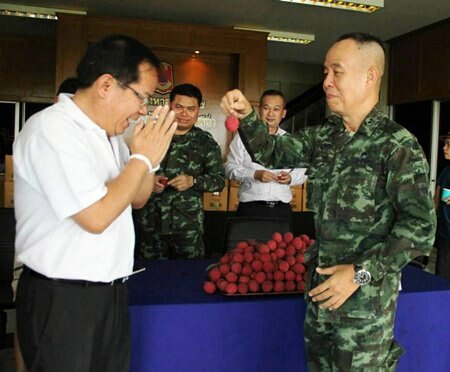 Maj. Gen. Sarayuth Rangsee, the commissioner of the 33rd Military Circle, and 1,013 police officers, soldiers, governing officials, and volunteers. 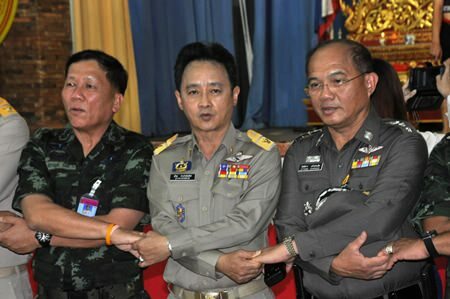 Official forces will be mobilized combat crimes, drugs and all vices in communities, to arrest thoe taking part in illegal activities and to maintain the peace and restore the confidence of Thai and foreign tourists who visit the area. Chiang Mai Governor Suriya Prasatbandit joins hands with military officers to support reconciliation and reform in Chiang Mai. The National Council for Peace and Order (NCPO) in Chiang Mai held the opening ceremony of the Center for Reconciliation and Reform (CRR) for returning happiness to Chiang Mai people at Buddhasatan near the Governor’s residence on June 9, 2014. Governor Suriya Prasatbandit, as the president of NCPO Chiang Mai, presided over the Center for Reconciliation and Reform (CRR) for returning happiness to Chiang Mai people: “We are one at Buddhasatan” where the NCPO asked for cooperation from every agency, both government and private sectors and every single citizen in creating unity among Thai people starting from the smallest unit, family to the biggest unit, country. This plan will make people gradually accept that there can be different political ideas, create unity, trust and peace and also reduce suspicion and conflict among Thai people by adapting the Philosophy of Sufficiency Economy in their way of life. In two separate arrests on the same day in Chiang Mai and Chiang Rai Border Patrol Police seized 2 million methamphetamine or Yaba tablets. 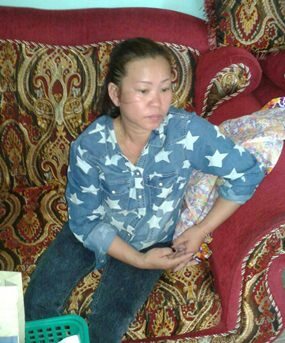 The first case occurred at 12:30 a.m. on June 2, 2014 when the Border Patrol Police arrested 45 year old Prachuab Khiri Khan native Chansri Chanta in Chiang Dao, her accomplice Kittiphong Chikta, age 31 of Chiang Dao escaped from authorities. Chansri Chanta was caught by police when she fell off the motorbike she was riding pillion and carrying 80,000 Yaba tablets. Officers received a report from an agent that there someone would be smuggling a large amount of drugs in Muangna sub-district to the downtown to send to the central region, so a checkpoint was set up until Kittiphong, the suspect, came across riding a black Honda Dream with Chansri as the passenger holding a bag which contained the Yaba. When the police saw her bag, she threw it away to the side of the road before the rider made a turn trying to escape causing Chansri to fall off the motorbike and she was arrested. Chansri confessed that the two had been smuggling drugs for some time. The officers went to investigate Kittiphong’s house and found 4 guns and ammunition. Additionally they seized assets including a truck, gold jewelry and 14 properties. After searching Chansri’s house in Chiang Dao, the police seized the house, a Toyota Vigo, a motorcycle, some amount of cash, and gold jewelry. The second case occurred in Chiang Saen in Chiang Rai at 9.30 a.m. on June 2, 2014 when Border Patrol Police 327 of Chiang Rai, with Pha Muang Task Force, Scouts, and Chiang Saen Immigration officers investigated a corn field and Sobruak waterside near Phra That Wanglao in Chiang Saen district, Chiang Rai where they spotted a suspect. The suspect managed to escape but left behind 1,020,000 methamphetamine pills. The goal to help disadvantaged people in remote areas gain access to glasses and eye care is made easier by the generous donation of an Auto Refractor from Anocha Kieolongya at Topcon Instruments (Thailand) Co.,Ltd. 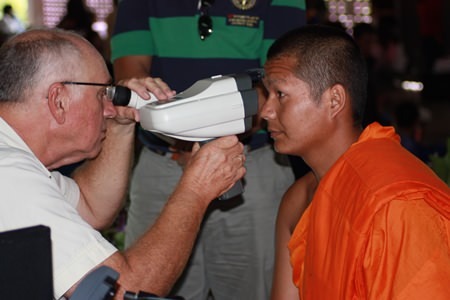 Chiang Mai International Club, a new Rotary Club in Chiang Mai and AmigoVision Thailand program, led by retired optometrist T.J. Bouma have reached a major goal with the donation of a key piece of equipment for eye clinics for disadvantaged people. Thanks to the generous donation by Anocha Kieolongya at Topcon Instruments (Thailand) Co., Ltd. This goal is now reached and more people can be helped than ever before. The AmigoVision Foundation donated instruments and approximately 5,000 pairs of glasses that were donated by the Lions Club. “Since 2010 we have conducted four clinics, mostly in the Thai Burmese border areas. The main issue we have to work with is the large flow of people and communication. Sometimes we need 2 interpreters: from Lahu or Karen to Thai and then to English. We want to see as many people as we can and communication with the patients took too much time. At this time we can see about 80-90 people on a day but the demand is about 250-300 patients per day,” T.J. said. One solution to run the clinics more efficiently is the use of an Auto-Refractor; a computerized instrument that measures the refraction in seconds. The prescription is quite accurate but does not replace the eye exam by an optometrist. “But, this machine cuts my time per patient in half so I can see a lot more people”. “We have been working to get this instrument for a long time. With the help of Mr. Franck Morand at Quantel Medical I got in contact with K. Anocha Kieolongya at Topcon Instruments (Thailand) Co.,Ltd. They had a used Auto -Refractor in Bangkok and donated it to AmigoVision. “Once they heard about the need they packed the machine the same day and put it on the plane to Chiang Mai”, said T.J.
“It is my goal to focus more on screening for diabetes. To my surprise, diabetes is very common problem among tribal people. Diabetes can cause retinal damage and it is crucial to detect D.R. in early stages and make sure that the patient gets proper treatment. Hopefully we will have a Non-Mydriatic Fundus camera available in the future. I can then E-consult with the hospital’s eye doctors”. TJ concluded adding that several ophthalmologists and optometrists have already volunteered to come to Thailand and help out. 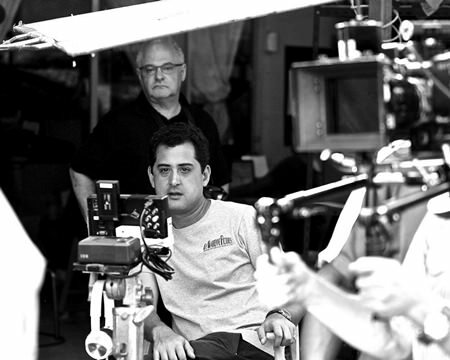 Director Tom Waller with screenwriter Don Linder during filming. Chiang Mai continues its tradition of being home to creative minds with the upcoming national debut of The Last Executioner, the story of Chavoret Jaruboon, a former rock ‘n’ roll musician who entertained American GIs during the Vietnam war before becoming a death row executioner at the notorious ‘Bangkok Hilton’. The Thai language film, starring Vithaya Pansringarm (“Only God Forgives”) in the lead role of Chavoret, also features Penpak Sirkul and Thai National Film Best Actor Winner David Asavanond (“Countdown”) as well as veteran Thai actors Nirut Sirichanya (“Hangover 2”), Pisarn Akkaraseranee and Jaran “See Tao” Petcharoen. Directed by Tom Waller the film’s screenplay was written by Chiang Mai resident Don Linder. Don, who taught screenwriting in the United States said it was just serendipity that saw his involvement in the project. He originally met Chavoret at an FCCT (Foreign Correspondents Club of Thailand) meeting where he spoke on his previous job as Thailand’s last executioner by gun, and his life as a Buddhist. Don later interviewed Chavoret who was, by this time, somewhat of a celebrity despite the fact that he had long retired from his job as executioner. They spoke at length and then parted ways. Don said he kept the interview and subsequent research material waiting for the right project or moment to develop it. That came a few years later when he met Anglo-Thai director Tom Waller in Bangkok and somehow they got on to the subject and Tom expressed an interest in developing the material into a film. The film, which is up for a Golden Goblet at the Shanghai International Film Festival this month, opens nationwide on July 3. 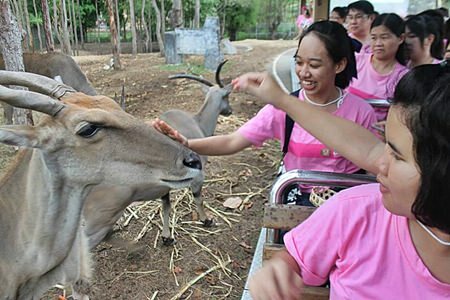 More than 230 disadvantaged youth took part in a 2 day camp at the Chiang Mai Night Safari thanks to GSB sponsorship. The Government Savings Bank (GSB) is working with the Chiang Mai Night Safari to educate youth on wildlife, conservation and encourage the protection of natural resources and wildlife in a GSB sponsored 2 day 1 night event at the Night Safari. As part of the 1 million baht budget from the bank the days out will allow youth to become more involved in the world around them. Caretaker Director of GSB Section 8 Toedsak Boonmaprasert presided over the opening ceremony of the project, on June 6-7, 2014 where he was joined by Director of Chiang Mai Night Safari Dr. Sarawut Srisakun and more than 230 young people who took part in the event. The bank plans further outings so as to give more youth with limited financial support to study and learn from nature. 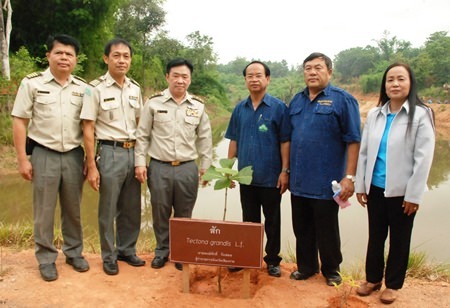 2,000 trees were planted in Doi Bo National Forest Reserve in Chiang Rai for National Tree Day. National Tree Day, which is held on Visakha Bucha Day, this year on June 6, 2014, saw Chiang Rai people come together with Provincial Offices for Natural Resources and Environment Chiang Rai, the Forest Management Bureau and government agencies in planting trees at Doi Bo National Forest Reserve, Baan Lao Phatthana, Ban doo sub-district, Muang Chiang Rai. Led by Sujint Thophangthiem, Director Provincial Offices for Natural Resources and Environment Chiang Rai and Somsak Jiemsa-nguanwong, Director Forest Management Bureau No.2 10 rai of land had been prepared to plant 2,000 trees including yang (dipterocarp), teak, Siamese rosewood, Javanese cassia and others. The goal was to increase forest lands, reforest, conserve and protect the environment and restore the eco-system.